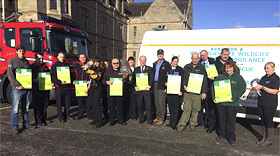 • FREE scheme to help combat rural crime in Warwickshire. • Receive incident alerts and news for your area. • Crime prevention advice and information. 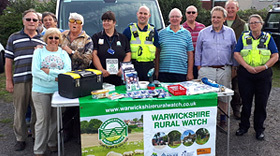 Manage the Warwickshire Rural Watch website. Adding our latest news and crime incident alerts together with updating our Facebook and Twitter pages. 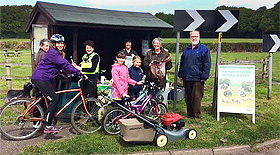 Supporting rural communities providing property marking and crime prevention advice. Providing vulnerable and elderly residents in rural communities with advice and crime prevention resources. Work with farmers and rural businesses with crime prevention equipment. Work alongside Warwickshire Police Wildlife Officers to combat Wildlife Crime. Attend and hold meetings/events to engage with rural communities to listen and support. Working with our partners on Fly Tipping.